Directors: David Giles, Guy Slater, Jeremy Summers. Who is Hannay? Richard Hannay was a character created by John Buchan, and first appeared in the book The Thirty Nine Steps. He subsequently appeared in further adventures (Greenmantle is the easiest to locate). Why is Hannay important? Along with Somerset Maughm’s Ashendon and Sapper’s Bulldog Drummond, Hannay is considered one of the characters that inspired Fleming and subsequently the whole sixties spy boom. 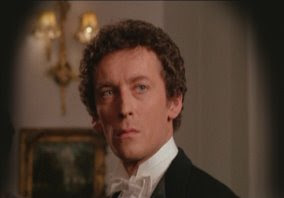 In this series, Robert Powell plays Richard Hannay, a character he had played before in the underrated 1976 version of The Thirty Nine Steps, directed by Don Sharp. For espionage lovers this TV series is a mixed bag. Some episodes have Hannay battling Count Von Schwabing (Gavin Richards), a German diplomat who is secretly planning for Germany’s entrance into World War One. One episode Voyage Into Fear, is similar to The Ipcress File in style. Other episodes in the series, Hannay tends to battle the usual swag of underworld criminals. These episodes, are probably more like Sherlock Holmes or Bulldog Drummond (Coleman rather than Richard Johnson) than spy stories. It’s an enjoyable series, but beware as it was only meant for television and done on the cheap. The interiors were filmed on video tape which looks incredibly flat. Everything is in focus, so there is no depth – it almost looks as if it is stage bound – it isn’t. The sets and costumes are good, but the filming technique really lets it down – there are even burn mark and trails when the camera passes a blight light, candle or match. In the end, the series is an interesting historical footnote (similar to Reilly: Ace Of Spies), but unless you are a spy completist, or an avid fan of Robert Powell, I wouldn’t spend too much time, tracking the series down.